Unlike iPad and Kindle Fire tablet’s super solid screen glasses, Kindle’s screen is pretty fragile. For example, the screen would be damaged if you just put the Kindle in your bag without any protection. Therefore, Kindle cases are necessary for all Kindles. Most of Kindle models have only one physical button, once you break the button, you can’t use it anymore. So buy a leather case and use magnetic to turn on the screen! 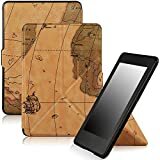 In this post I’ve collected 39 cases for different generations of Kindle, no matter you want a leather a case, a solid case, a fashion case, or a cheap case, you can find it in this list. Auto wake up feature? That’s already a must-have feature for most of Kindle cases. Notice: Different generations of Kindle need different cases or covers. 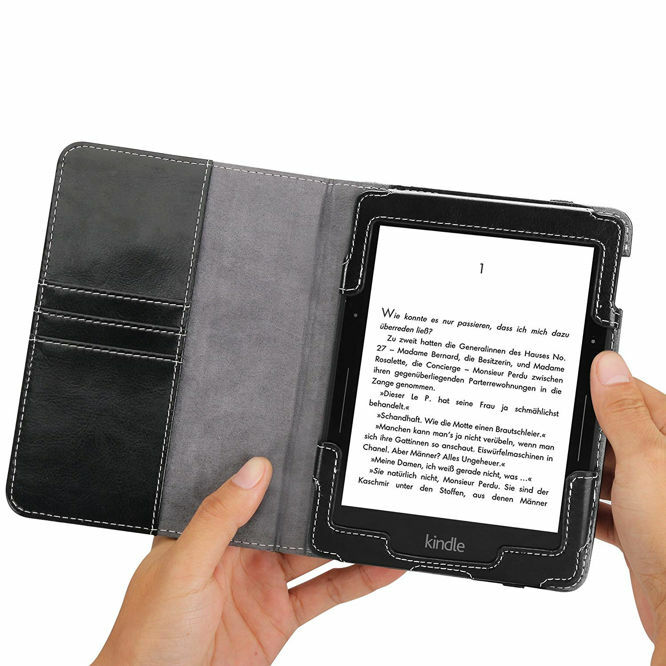 Before buying a case, please make sure it fits your Kindle. And please notice that the price may change depends on the time and seller, so the price listed in this post are all based on the period I wrote this post. And some cases may even be unavailable, if you find the price is changed or a case is no longer valid, please notify me in comment. 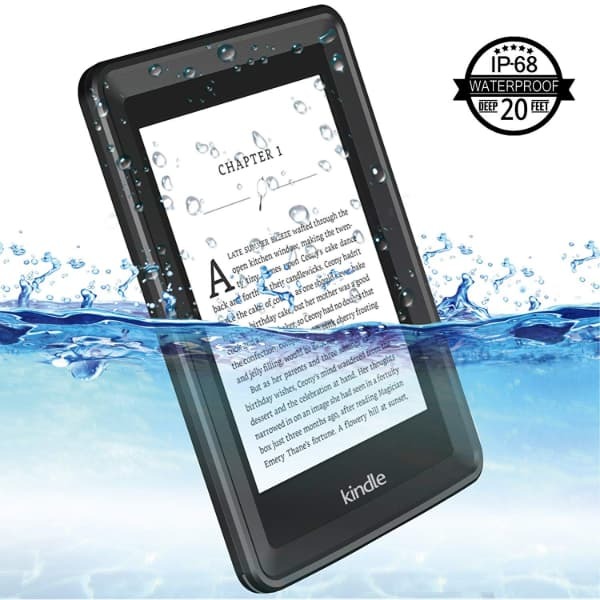 An outstanding waterproof, rugged sleek, transparent with built-in screen protector case for kindle paperwhite devices. 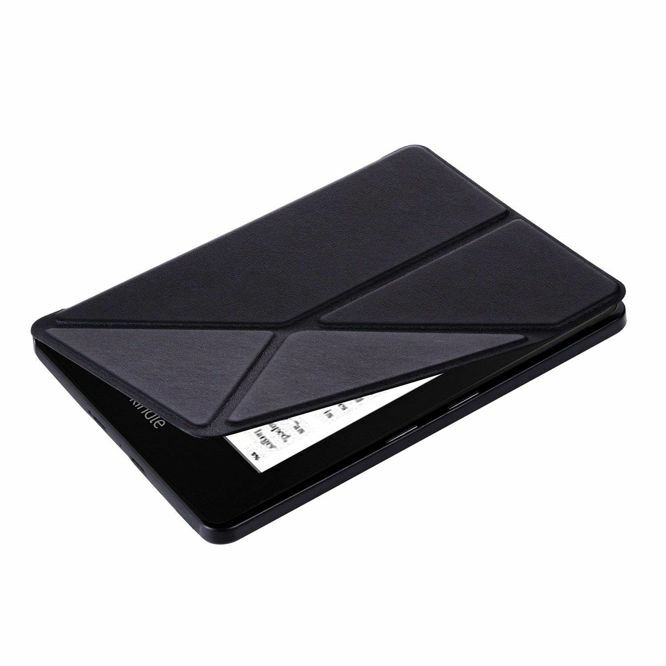 Temdan case is designed for all version kindle devices. 2012, 2013, 2014 and 2015 All-New 300 PPI Versions with 6″ Display and Built-in Light. The case is shockproof, edges are raised in this which defence device screen and lens. Standard withstand drops from 6.6”. It is waterproof and snow proof, submersible to 6.6 ft. for 60 minutes sealed in the snow, ice, dirt and dust. Build-in screen protector, full access of port while protecting from dusting and scratch. 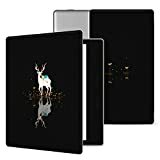 Temdan Kindle Paperwhite Waterproof Case Rugged Sleek Transparent Cover with Built in Screen Protector Case for Kindle Paperwhite. 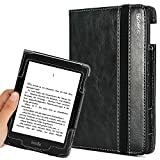 The most expensive Kindle Voyage case brought by Amazon, it’s crafted from premium leather and this is the direct reason for such a high price. 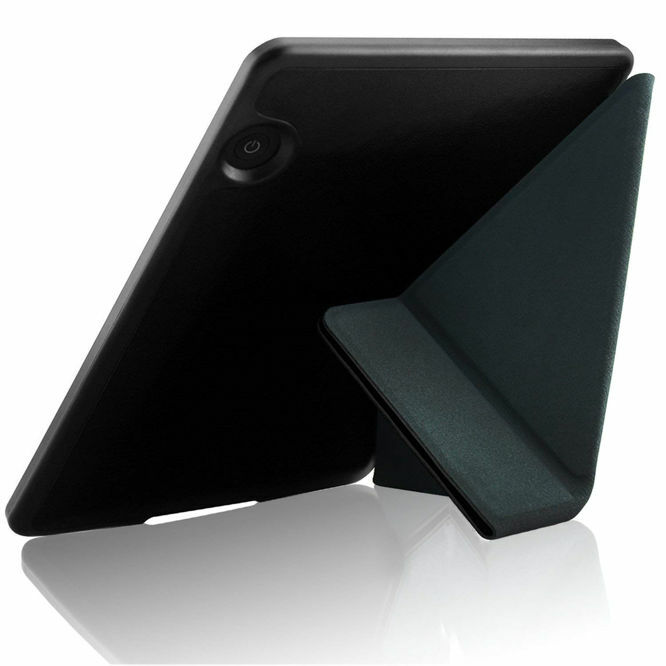 Unlike those common cases, this case has a portrait fold orientation, and it stands steadily. It takes the Kindle to the next level. You will look on it with pride every time you see your Kindle. Compared to the case above, this is the normal version while the above one is the limited version. They have the same look and feature, just different in leather quality. So if you want a leather case but not want to spend that much money, this one can be your choice. 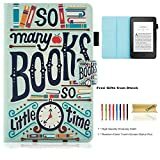 A cheap alternative to the official Kindle Voyage cases, they have almost the same look while only costs 1/3. 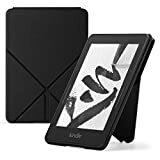 It is very lightweight and ideal if you usually hold the Kindle in your hands while reading, but the cover hinge is flimsy so when cover folded into standing position the kindle leans to the right and feels like it could fall when bumped. 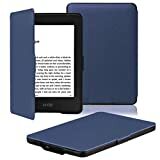 The look of this case brings the feel of safe, unique design of the back plays the role of damper when Kindle is falling down. One drawback is the case can’t protect the screen, so if the Kindle is hit on the front side, the case can do nothing. The material is silicon, provide black, blue and lavender colors. 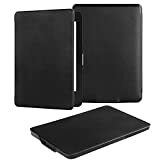 A minimalism protection case for Kindle Voyage, it’s pretty close to the official leather cover however it’s made of PU leather, it’s extremely lightweight (around 3 ounces) and fits Kindle Voyage exactly. This case provides 11 colors and 24 patterns. 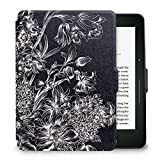 One of those best-seller Kindle Paperwhite cases on Amazon, made of antiskid PU leather. The look of the case is like a cloth bound book, the rubbery and plastic feeling make it feels good in hand. 4 colors and 13 patterns are available for this case. 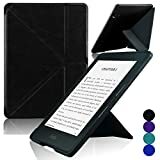 An origami style PU leather Kindle Voyage case, it fits well and does have the proper cutout for the power button located on the back of the unit. The drawback is the case is a bit thick, which defeats the purpose of buying the expensive and thin Kindle Voyage. 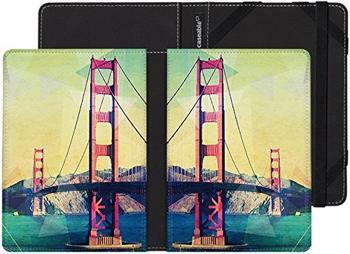 This case offers 11 colors, 6 patterns and 10 printings. 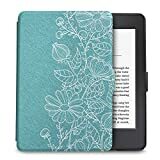 This case is made from durable synthetic leather, aqua blue background with flower patterns make this case favored by women Kindle owners. According to user reviews, some buyers said there is a color distortion problem, you need to be careful about this. It seems that Walnew pretty likes the pure color background and flower pattern. This case has a pure black background and white flower pattern. I don’t know what flower it is, I guess it’s peony. 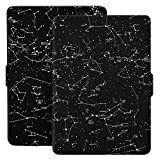 This case fits Kindle (basic version), Kindle Touch and Kindle Paperwhite. 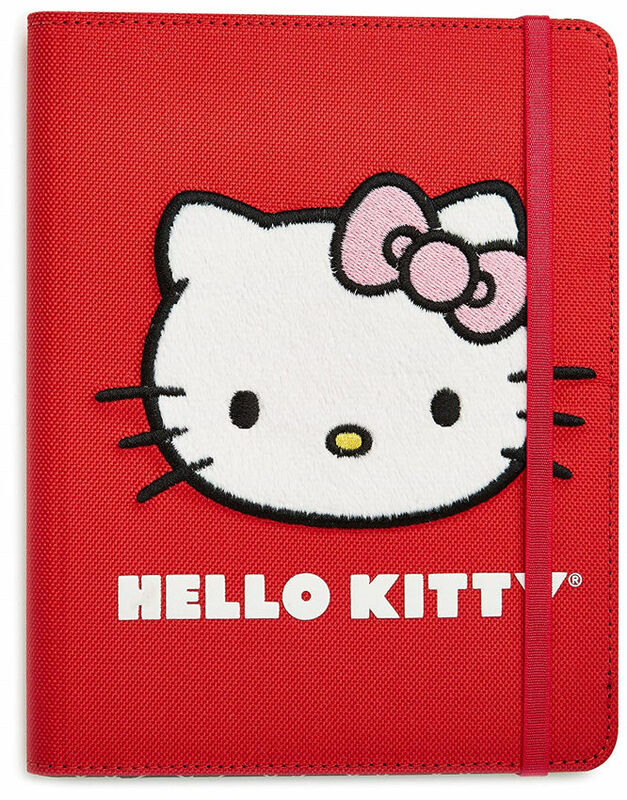 Equip this case on your daughter’s Kindle, I bet she will spend more time on Kindle than iPad games. 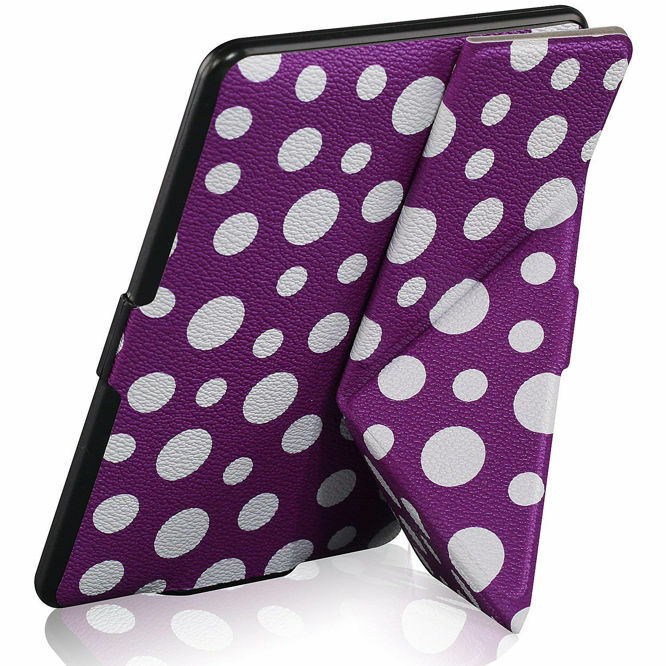 This case is available in 4 color and patterns: deboss face pink, polka dot black, chevron purple and fur face red. 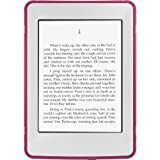 Fits Kindle Paperwhite, Kindle & Kindle Touch, made by a certified “Made for Kindle” accessory manufacturer. Each Jonathan Alder case has irreverent printed cotton canvas exterior and luxurious suede lining. 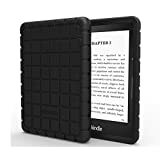 The unique silicone backed 4-point elastics protects your Kindle perfectly. This case is available in 6 different colors and patterns: black keys, green, navy blue jacks, navy/pink, orange, pink circles, purple/orange peace love. Click the button below you can see all the styles. This is a minimalist cover. My Kindle Paperwhite is attached to the case quickly and firmly, I bet it definitely not going to fall. With this case I can hold the Kindle easily and comfortably. The cover is built from durable polyurethane with a microfiber interior, looks nice and holds better. You can choose among 5 colors on this case: black, blue, pink, purple and turquoise. 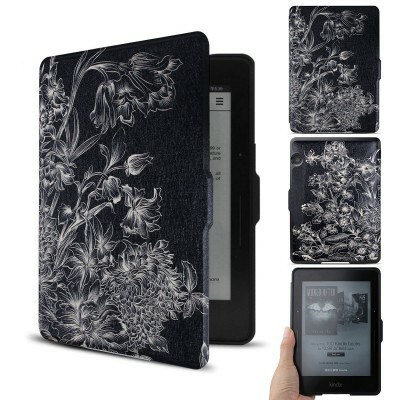 This case is suitable for 6-inch Kindle, which means Kindle Basic, Kindle Touch and Kindle Paperwhite 1-3 generations. Like other cases, this one also provides the auto wake-up function. 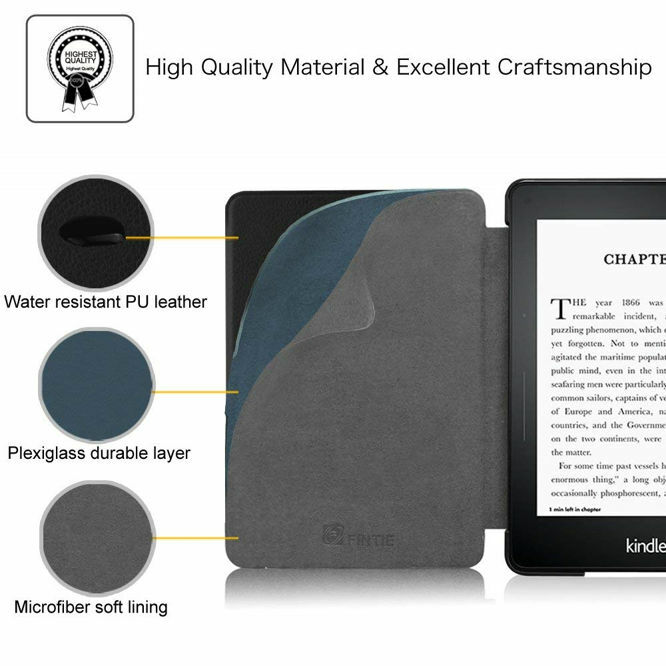 Made from durable PU leather with soft interior to prevent scratches, the book-like design makes your Kindle outstanding on subways. 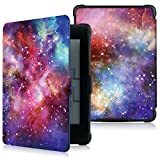 Another case from ACDream, but this one is designed fro 7th generation Kindle, which means Kindle Touch and Kindle Paperwhite. Kindle Voyage and Kindle Oasis are not supported. 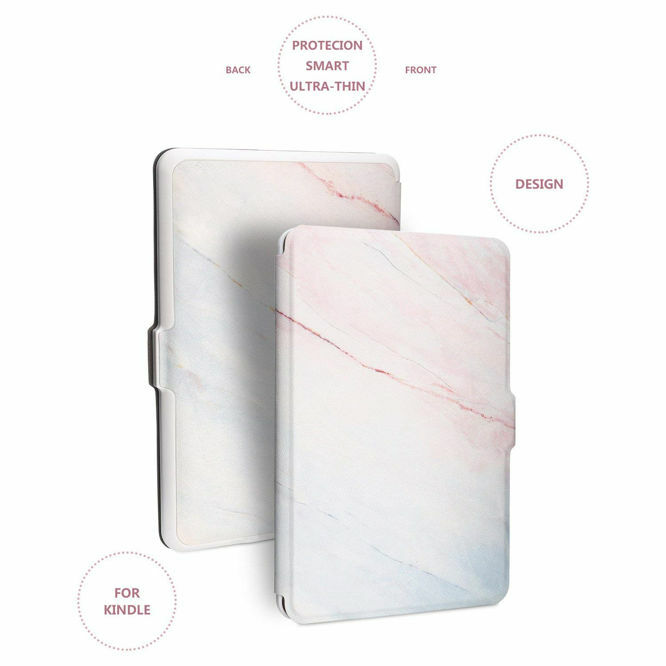 This case does everything a case should do: auto wake-up function, easily hold back for reading, clip-on application and precise cut-outs, super slim and ultra lightweight, premium quality PU leather with hardback cover. There are many other colors and patterns available, you can check it yourself by clicking the button below. 1. Slim Case Specifically Designed for All-New Kindle (8th Generation, 2016), does not fit other previous kindle ereader Model. 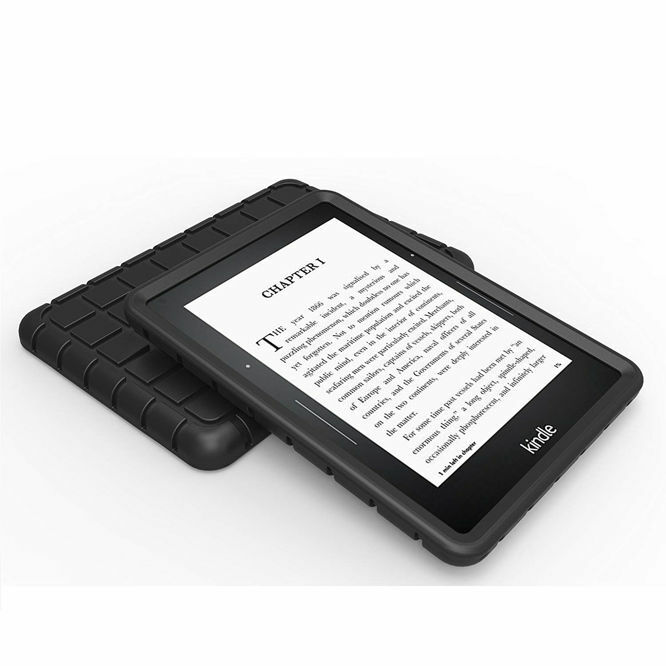 This case has different models for 2014 7th generation Kindle, Kindle Paperwhite 1/2/3 and Kindle Voyage. Its material is high quality synthetic PU leather, a magnetic closure which contains auto wake-up feature. 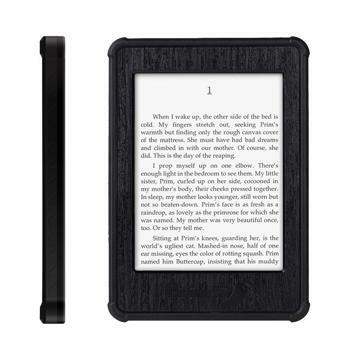 Different models all have perfect cut-outs for all the ports and buttons of different Kindles. You have 5 choices of the colors: black, blue, brown, purple and red. This case fits Kindle Paperwhite 1/2/3 and Kindle Touch which doesn’t have back-light. 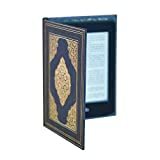 Harry Potter fans would like it very much as the “Book of Spells” printing on the cover, and the pattern is also specially designed like a real ancient spell books. 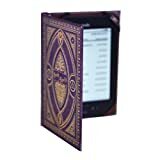 Reading magical and fantasy Kindle books with this case is definitely a funny experience. Here are more cases from this manufacturer, all of them are really special. 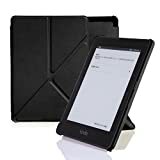 Case for Kindle and 6 Inch eReaders (inc new Paperwhite 2018) up to 180mm x 120mm without a power button on the back. 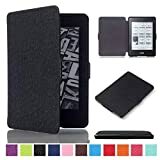 This case only suits Kindle Paperwhite 1/2/3, when you open the cover, Kindle will automatically unlock the screen, of course when you close the cover the Kindle would sleep. 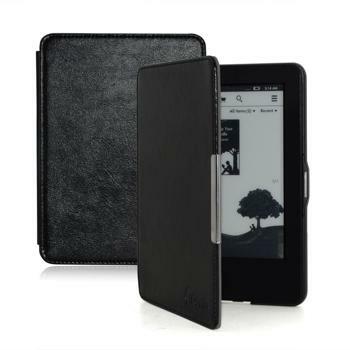 The synthetic leather ultra slim case protects Kindle Paperwhite perfectly. You have pretty rich options for the colors and patterns. Check the image below. You can check all the Moko cases in this category. 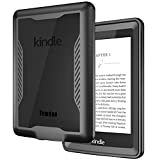 Designed specifically for Amazon All-New Kindle Paperwhite (all 2012, 2013, 2015, 2016 and 2017 versions)(Will not fit All-New Paperwhite 10th Generation). 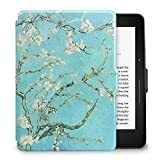 This Van Gogh case fits for Kindle Paperwhite 1/2/3, don’t buy it if you are using Kindle Voyage or Kindle Oasis. 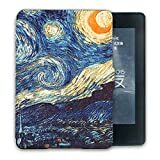 It’s manufactured by a Disney outsource factory in China, with highly precise printing with Van Gogh oil Panting, it makes your Kindle more beautiful and elegant. All in all this is a nice looking case that is made well. 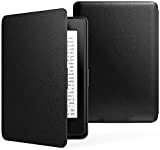 Made for Kindle Paperwhite 1/2/3 with lifetime warranty, made of high-quality synthetic leather, perfect cut-outs for control buttons and ports. This case is reliable enough to endure long-time use, it’s also so small you’ll forget it’s there. 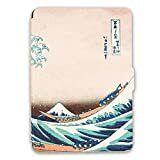 This is a certified “Made for Kindle” case which only fits Kindle Paperwhite 1/2/3, Kindle (5th and 7th Generation) and Kindle Touch (4th Generation), it’s a hard cover style case. You can choose from 12 different patterns, as the image below shows. 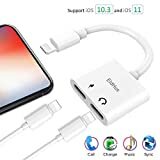 You can check them all on the product page. 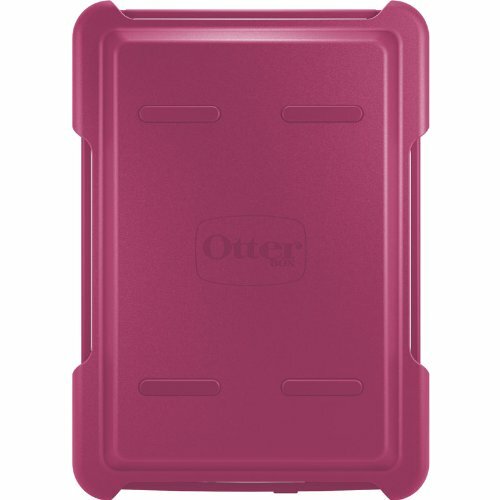 OtterBox is the innovator of the multi-layer case. By multi-layer case, it mea ans two-piece polycarbonate inner shell, a self-adhering screen protector, and an outer durable synthetic rubber slip cover that absorbs impact. 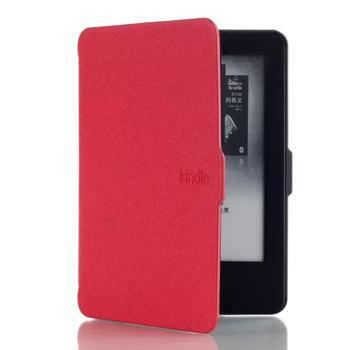 It’s only for Kindle Paperwhite 1/2/3, and you can choose black or red color. 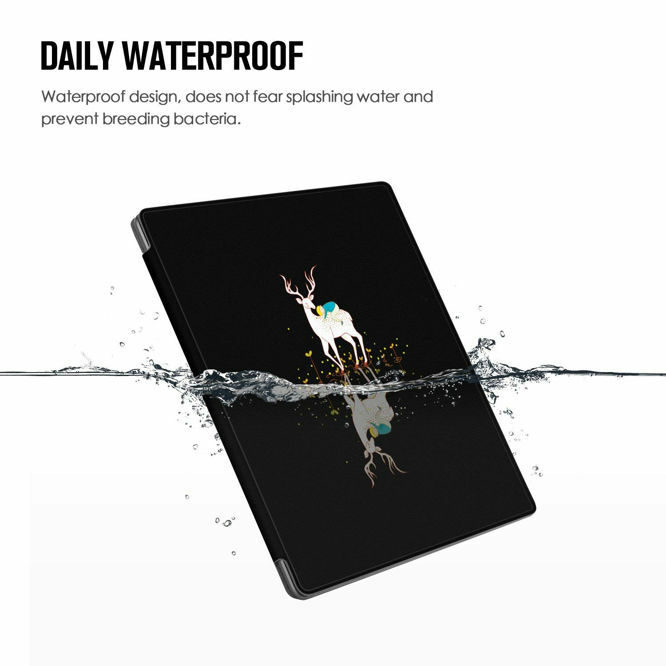 This is a water-proof case for Kindle Paperwhite 1/2/3.It meets IP68 standard Waterproof, which means you can use it under 6.6 ft deep. 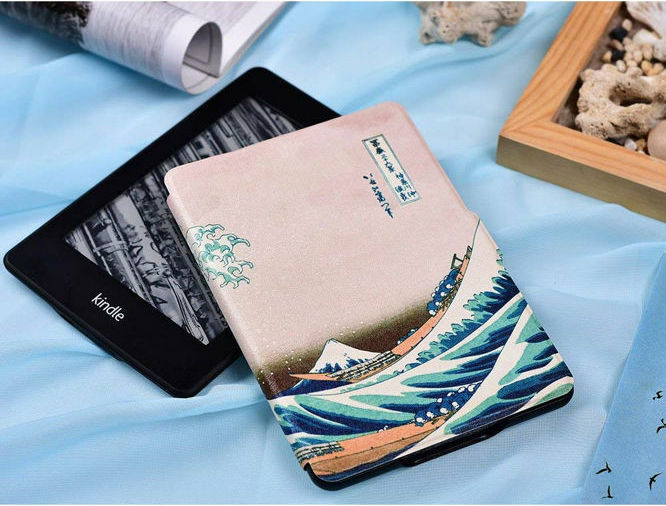 When summer comes, this case can make you using Kindle on beaches happily. It’s also a great accessory for an afternoon in pool. 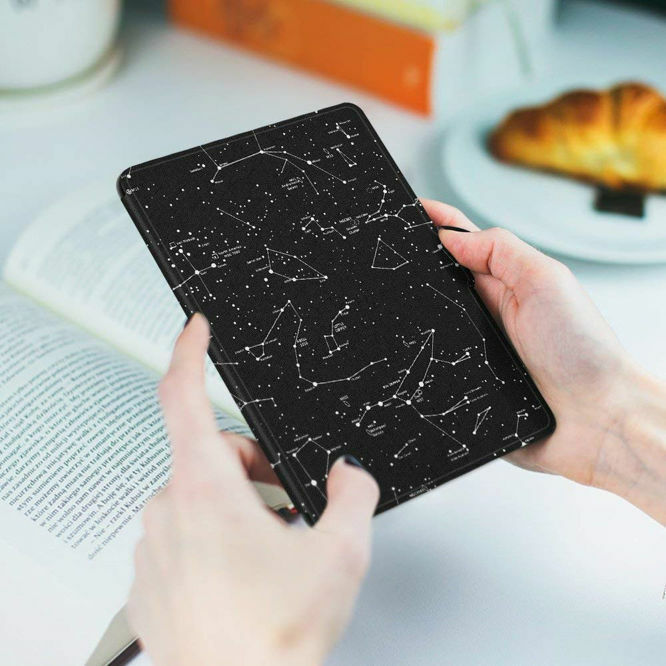 Specially designed for Kindle Paperwhite 1/2/3, it has a transform-able cover parts which supports vertical and horizontal standing mode. Made of PU leather with soft microfiber interior, also providing auto wake/sleep feature. A thin, lightweight, and durable case. It is perfect for taking Kindle Paperwhite wherever you go. When you finish reading, just close the cover then the Kindle would sleep. The magnetic closure keeps the cover closed while in a backpack or briefcase. Another case from Poetic, and this is a ultra slim series case made of PU leather. Please note, it only suits Kindle Voyage, not compatible with any other Kindle series e-reader tablet models. There are 12 colors for this case. A thin and light case designed for Kindle Paperwhite 1/2/3, made of anti-skid wood grain PU leather, which brings fashion and safety to your Kindle. Besides the protection, it also provides auto sleep/wake feature. 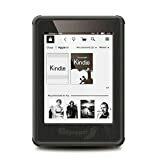 This is an Amazon official designed and manufactured for Kindle DX, the largest Kindle ever, until now there are many Kindle users want this size, which is 9.7″ display. It’s a simple zip style cover, but it protect your Kindle DX well. As time goes by, it will be more and more difficult to buy a good case for Kindle DX. AWS.InvalidParameterValue: B01DEX2NAO is not a valid value for ItemId. Please change this value and retry your request. 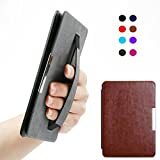 This is a Kindle accessory which becomes more and more popular, it helps you use Kindle with single hand comfortably. With the grips, you don’t need to worry about dropping your Kindle anymore. No matter your Kindle has a cover or not, the grips can be attached on your Kindle easily. With 4 simple steps you can install it to your Kindle, of course, remove it from Kindle is also simple. kandouren case cover is made of durable synthetic leather. It has a unique design to fit perfectly for Kindle Paperwhite 1/2/3 with a built-in light. This case cover has a soft interior to protect your device from scratches. 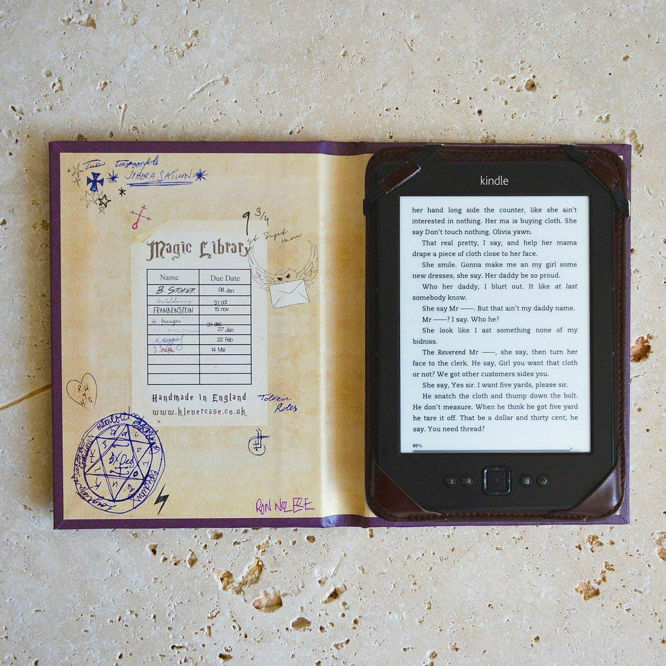 Its high precision printing makes your Kindle elegant and beautiful. You can put your device to sleep or wake by opening or closing the cover. It has a magnetic clasp that ensures cover is closed safely. Its cover is textured that prevents slipping. This helps to secure your device without straps covering the front. Its colors are very beautiful and vibrant. This case cover is great to fit Kindle Paperwhite perfectly. 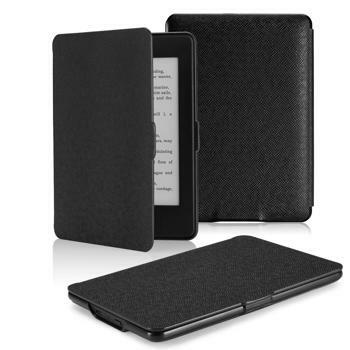 Dteck cover case is perfect to fit Amazon Kindle Paperwhite with the 6-inch display. It has synthetic leather material exterior and interior is of silicone material. 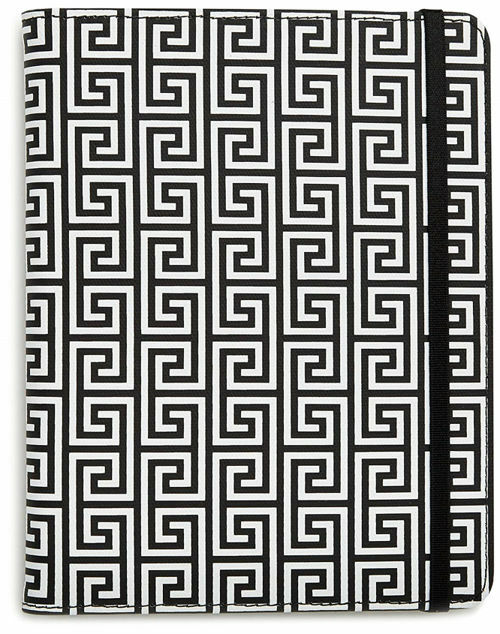 This perfect cover case has a pretty pattern that makes your Kindle more elegant. This cover case is lightweight, durable and protective. It has a feature of wake and sleep. 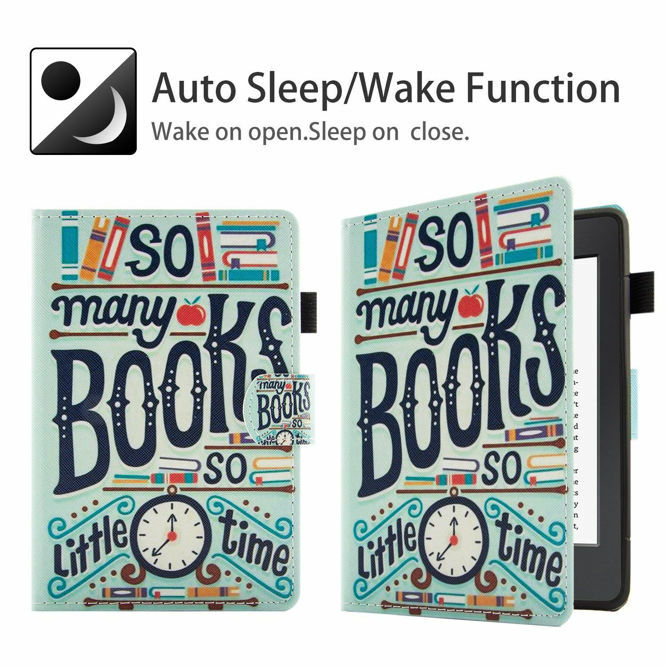 It wakes or puts your Kindle Paperwhite to sleep automatically with opening and closing of the cover. This provides the full protection by covering your Kindle. Its wallet design can be used to hold paper inside its pockets. 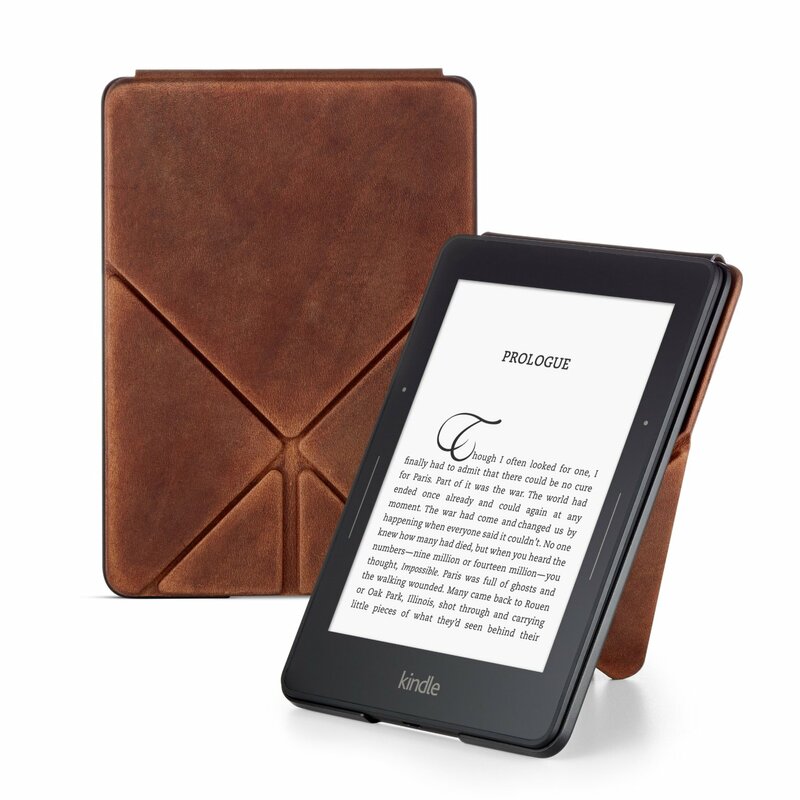 This is a wonderful investment to protect your Kindle Paperwhite. Ayotu cover case is designed for Amazon Kindle Paperwhite with the 6-inch display. This is crafted from high-quality anti-skid PU leather. It has a microfiber interior to protect your device from scratches. This wonderful cover case is ultra lightweight, slim and durable. It has plexiglass layer that is very comfortable and soft to touch. It has a smooth surface and ultra thin. This cover case supports wake and sleep function with open or close the covers. 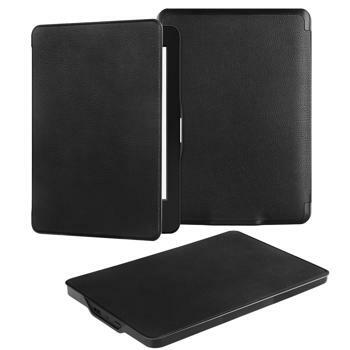 Its hidden magnetic clasp design ensures to close the front cover securely. This wonderful cover case has a multicolor design to make your Kindle more beautiful and elegant. Precise hole position, perfectly fit the product specifications and charging location. Leminimo slim fit is perfect case cover for Kindle Paperwhite. It is crafted from durable vegan leather which provides protection to your display. This case cover is durable and long-lasting, and anti-scratches. It is slim and light weighted. Provides full protection to Kindle Paperwhite and is not bulky at all. It comes with auto wake and sleep option. It helps to light up or shut the screen automatically with simply opening or closing the cover. 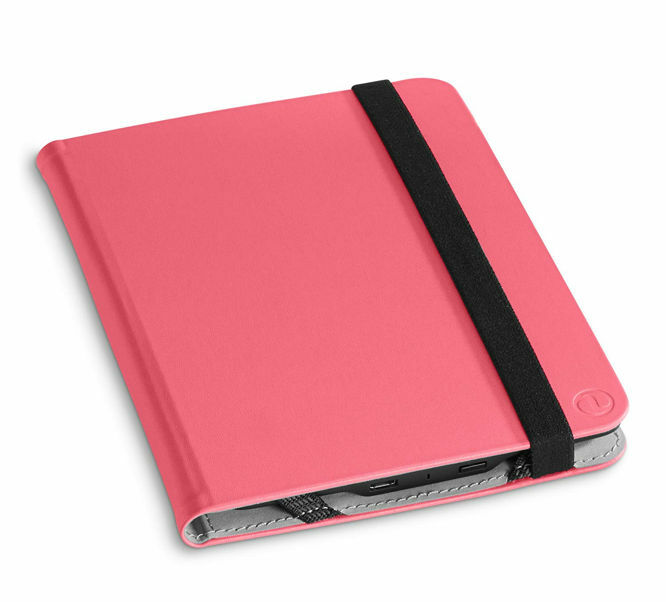 It has a hidden magnetic clasp that will cover the front of the tablet securely. You can read through the tablet by using one hand. The cover gets a fold from back easily and shut the screen easily with clip-on cover. Ayotu is the perfect and classy case for the Kindle oasis. It is made from PU leather which is waterproof. You can easily fold it back and it provides the one-handed reading experience to you. 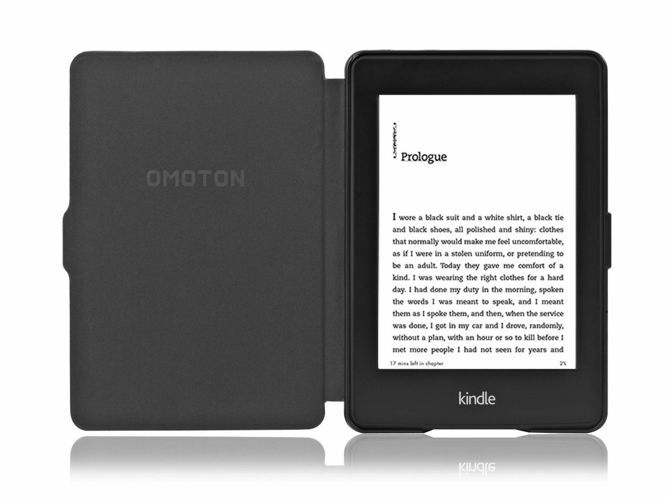 It has auto sleep and wakes feature that automatically put your Kindle to sleep when closed and wake upon opening. It has Japan’s advanced printing technology, and it uses EP inks to reproduce the original colors with high quality. It has a special adhesive adsorption function. 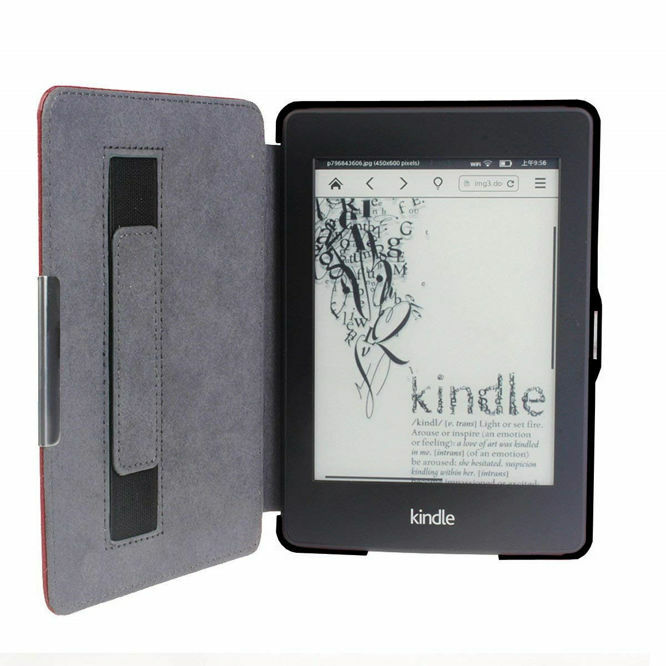 It has hidden magnetic clasp design which closes the cover securely and provides the better protection to Kindle. It is light weighted and made of great quality. Crafted from premium PU leather: Slim and lightweight, touch softer and more comfortable. 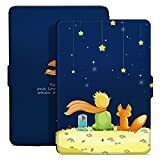 The best and perfect holding case covers for all Kindle Paperwhite. It is made by High-quality PU leather. It provides the best grip and view to in every position, whether you are lying down or standing. You can easily maintain the grip to paper white with a single hand by using this cover. 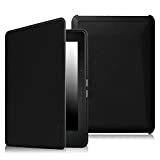 It has an automatic wake and sleep option which will take care of your Kindle and provides better security and durability. The magnetic clasp design makes the front cover closed securely. By using this cover you can easily flip the cover with one hand. 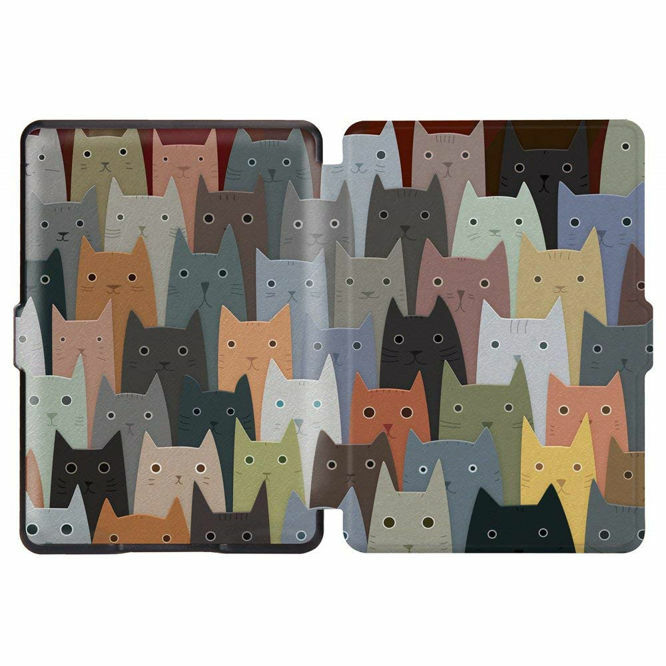 It is the best Kindle case cover. It provides the comfortable grip to Kindle Paperwhite. 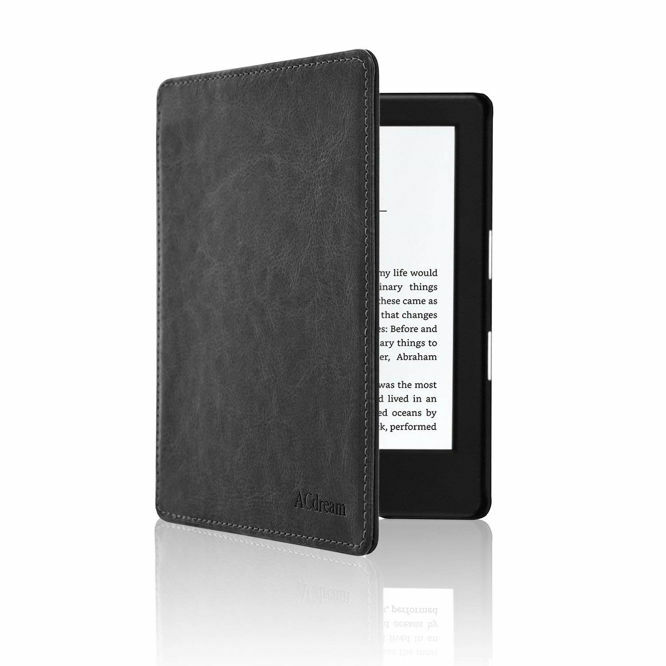 Amazon Kindle Paperwhite leather case is designed to fit all Paperwhite generations. This leather case is a fusion of soft premium textured leather. It has an innovative form-fitted interior. This perfect case is super-compact and lightweight. You can put your device on wake and sleep function by opening or closing the cover. It is able to secure your device without any straps covering the front. Its magnetic clasp ensures that cover is closed securely. Its top and bottom rubber portion hold your device safely. This leather case provides protection from scratches. Its cover doesn’t interfere with the charging port and button. There is no fear of ripping when wrapping it behind the Kindle while reading. Make your device beautiful with this beautiful case. 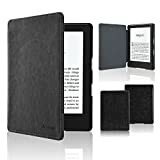 JR&JA Soft Shell Kindle Paperwhite Case is designed to fit all Amazon Kindle Paperwhite with 6 inch display and built-in light. Its material is of Silicone soft shell. 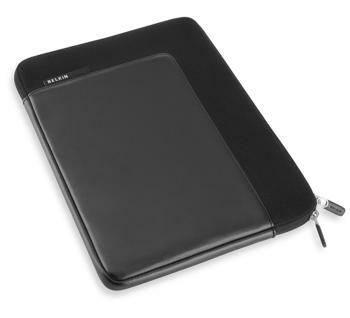 It has PU leather exterior and soft interior that protects your device from scratches. This case is lightweight, thin and convenient to carry without unnecessary bulk. Its smart design has auto wake/sleep function. You can put your device on wake or sleep by opening or closing the cover. It is able to secure your device without any hinges covering the front. Its magnetic clasp ensures that cover is closed safely. Add an elegant look to your device with this case. 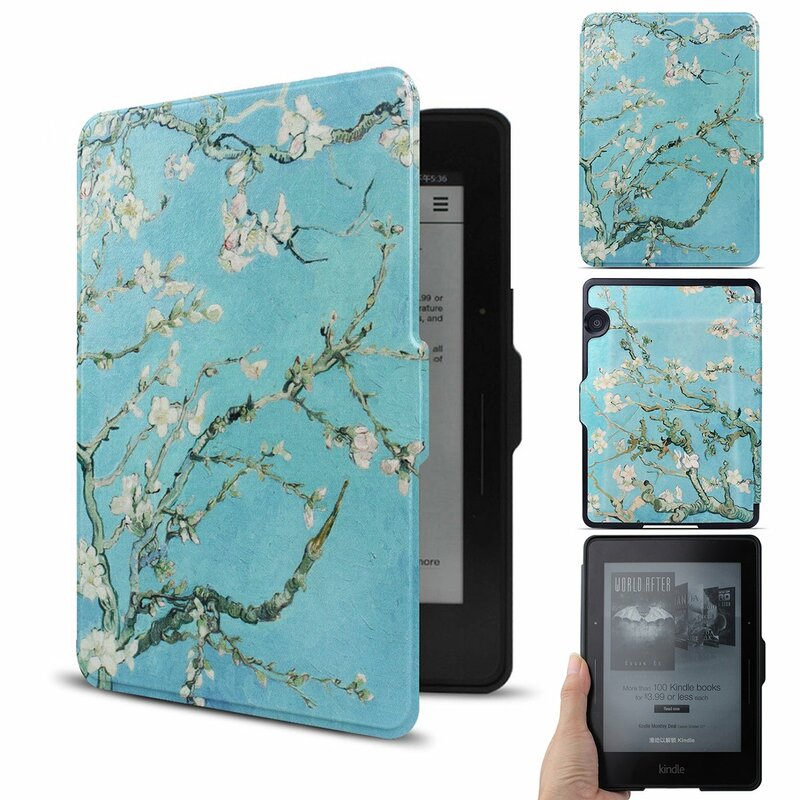 Huasiru Painting Case is designed to fit Amazon Kindle Paperwhite with 6 inch display and built-in light. 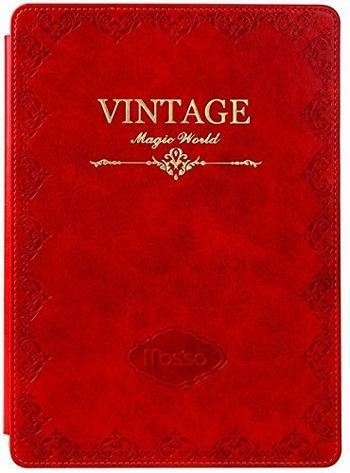 This case is made of durable synthetic leather. It has soft interior to protect your device from scratches. This perfect case is attractive, comfortable, durable, thin and lightweight. This case has auto wake/sleep function. You can put your device on wake or sleep by opening or closing the cover. It fits perfectly to your device and has a nice texture. Its integrated magnetic closure ensures that the cover keeps shut while in your carry bag or purse. This case will add a cute and beautiful look to your device. 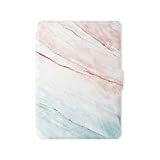 This Kindle Paperwhite Case is feather lightweight and delight that provides the protection to your Kindle Paperwhite. It will keep your Kindle Paperwhite scratch free. It makes your Kindle safer and stylish. it provides the comfort of reading anywhere easily as it is super comfortable for the Kindle. The colorful painting adds a stylish look to Kindle Paperwhite and makes it more attractive. It is available in many patterns. it has an auto wake and sleeps functions. The front cover put your tablet to automatic sleep when not in use and on it up when opened. 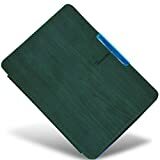 This cover protects your Kindle Paperwhite better. The magnetic clasp makes it ensure the full protection of the Kindle. 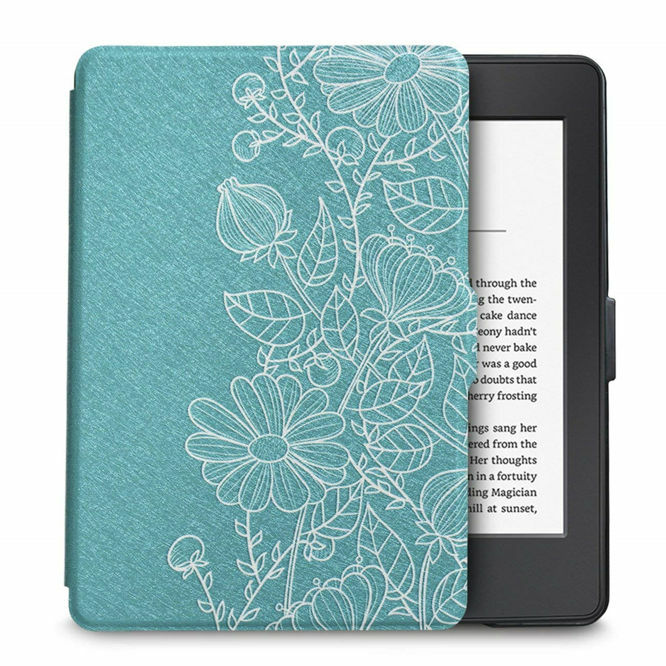 This Book Cover Style Kindle Paperwhite Case is incredible and perfect for your Kindle. With this cover, it really does feel like you’re reading an actual book. It is very lightweight and durable in nature. 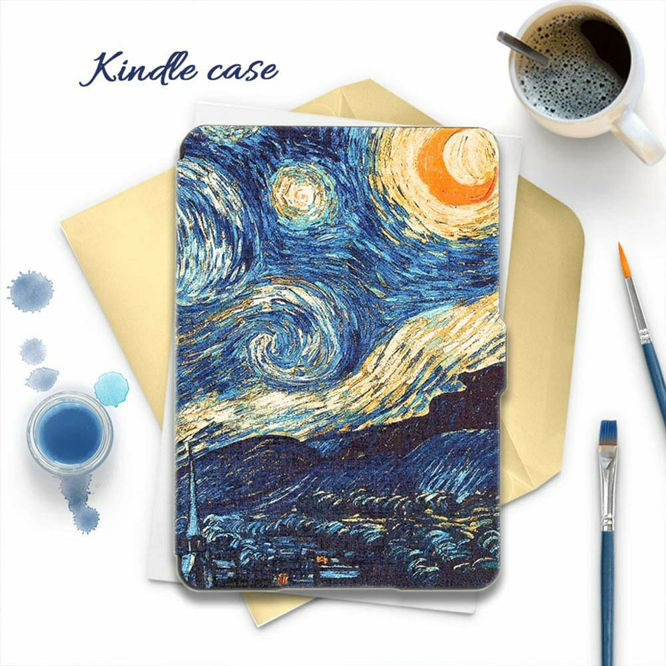 This beautiful case cover gives your tablet look of a book and is different from regular case covers. The cover is very slim and you can take it anywhere without bilking the weight of the Kindle. It has ultra-secure interior holder allowing access to buttons and ports. 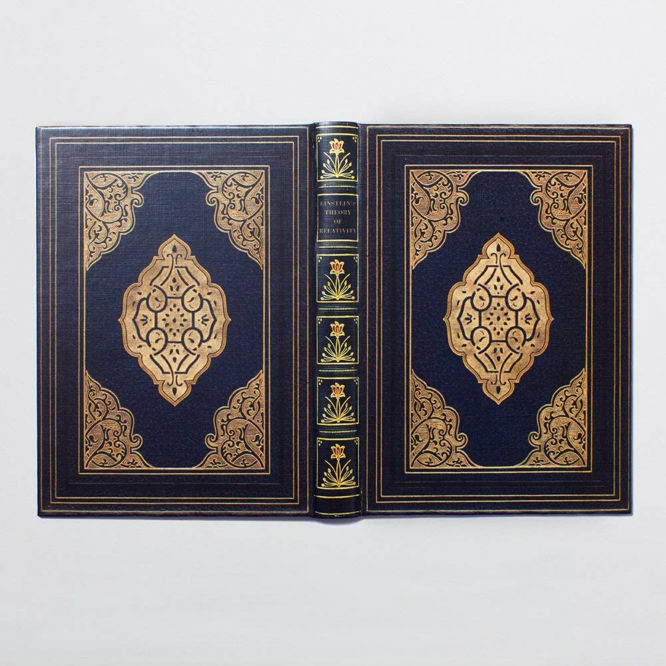 It is made in the UK with the best materials and traditional bookbinding techniques. 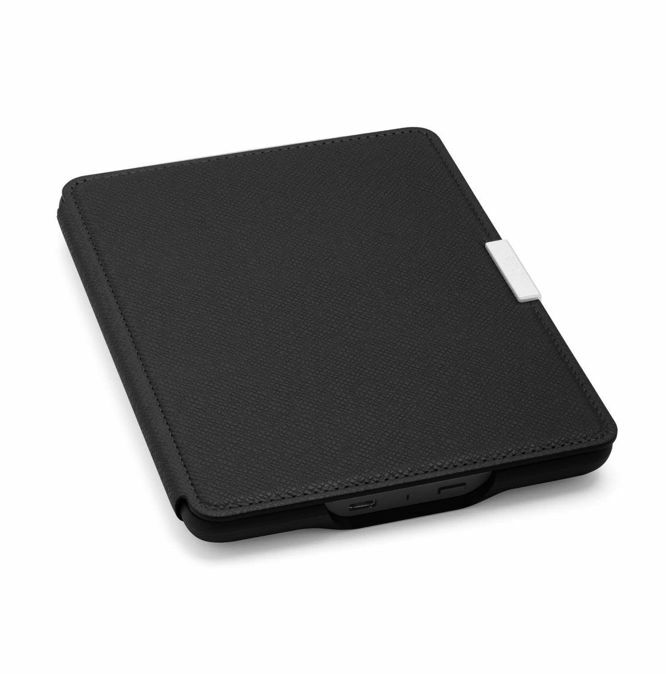 It’s a perfect case cover that provides the full security to your Kindle Paperwhite. Ayotu is a wonderful and perfect case for Kindle Paperwhite. It has precise hole position that perfectly fits the product’s accessories. You don’t need to remove the cover to insert the charger and jack. It has automatic wake and sleep mode which will on the Kindle when opens and off the Kindle when closed. The cover is slim and light weighted. 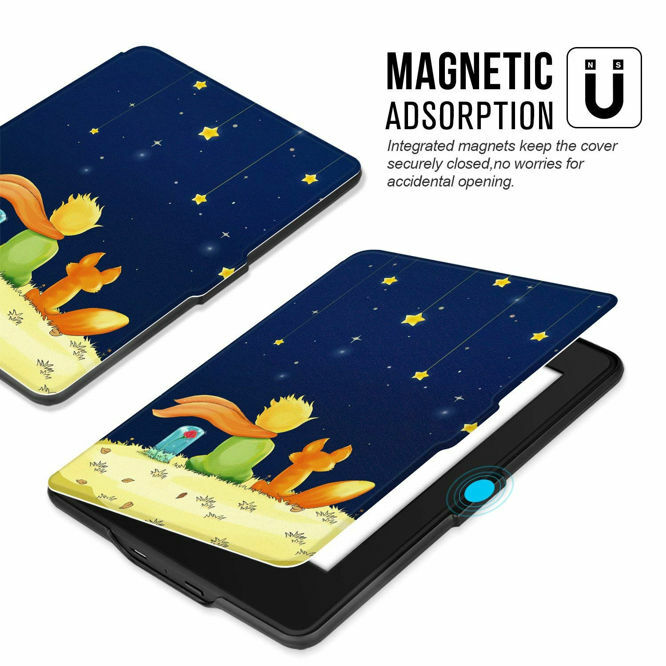 The integrated magnet keeps the device secured and you don’t have to worry about the accidental opening of the tablet without your concern. The slim and lightweight of this cover makes it more comfortable for the user to hold it. 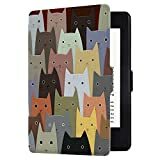 Best case cover for Kindle Paperwhite.